Fan Chang Tien (范昌乾) is an artist true to the tradition of Chinese painting, belonging to the lineage of the Shanghai school of Xieyi painting, studying under the masters Wang Geyi, Wang Yiting, Pan Tianshou and others, who were disciples of Wu Changshuo, the renowned master of the Shanghai School of Painting. Fan Chang Tien arrived in Singapore from China in the 1950s, bringing with him a fresh dimension of Xieyi painting. 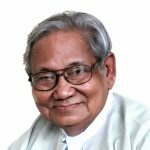 He is widely credited with inspiring a new direction and development for Chinese ink painting in Singapore teaching successful artists such as Ling Cher Eng (1940-1995), Nai Swee Leng, Lim Kay Hiong, Chua Ek Kay (1947-2008), Tan Oe Pang and Chen Kezhan. 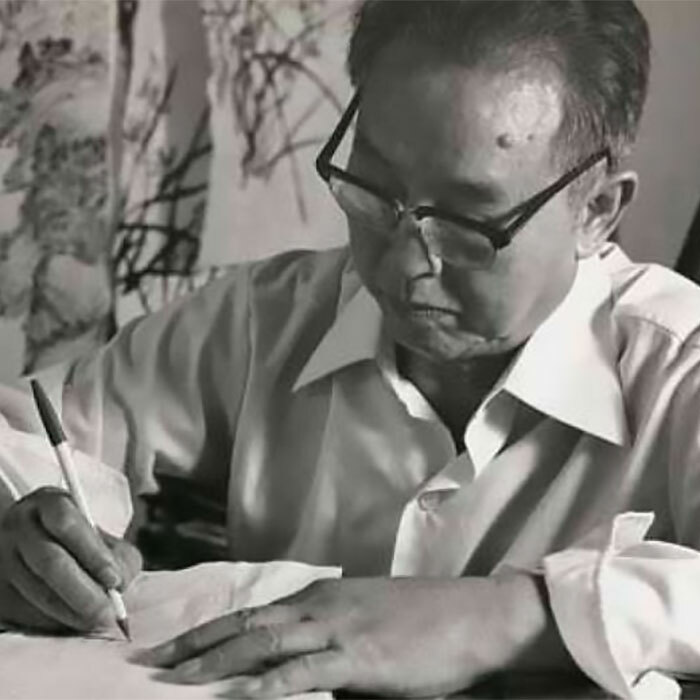 In 1973, the Hwa Han Art Society was established with Fan Chang Tien as the head advisor. 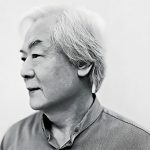 Under his guidance, the Society flourished, greatly invigorating the practice of ink painting in Singapore through their exhibitions and discussion forums. In 1989, a retrospective exhibition for Fan Chang Tien was organised by the National Museum Art Gallery. More than 100 works of Fan from the 1950s to 1980s was showcased to commemorate his significant contributions to the local arts scene. In 1993, fifty scroll paintings by the late master was donated to the National Museum of Singapore by the artist’s family, being one of the largest donations of work from a single artist made to the museum. His favourite subjects of bamboo and orchids are often depicted to express the values that he identifies with – the bamboo stood for fine gentlemanly qualities such as humility and integrity while the orchid emits elegant fragrance and embodies refinement and goodness.